Diesel Generators: we have been fixing problems and doing preventive maintenance on generators from 100KVA rating to nearly 2000KVA rating. If you have gensets which need immediate maintenance or preventive maintenance, you can contact us. If you want advice in purchasing these machinery, we can help you in the purchase and installation of gensets. Pumping Systems: whether it is troubleshooting the system, repairing pumps or installing them, we can help you. Compressors: whether it is troubleshooting the system, repairing pumps or installing them, we can help you. Boilers (steam and thermal fluid): boilers need to be handled with great care and have to be maintained regularly. We can help you there. Refrigeration: we can consult you and do the installation and provide breakdown and preventive maintenance. Air Conditioning: we can consult you and do the installation and provide breakdown and preventive maintenance. Developing Preventive/Planned Maintenance System and Spare Parts Management System for your factory or specific machinery: we can develop a comprehensive planned maintenance system for your factory, for every machinery in the factory and for every component in the machinery. We can train your staff to use the system and we will also implement the system. We can also do maintenance audit. We have an in-house developed software to manage the planned maintenance system and spare parts inventory. As a factory owner, you can easily follow up online through the system we develop if your machinery is properly maintained and whether there are enough spare parts for your machinery. As they say, Prevention is Better than Cure and there is no better way to do it by installing a planned maintenance and spare parts management system. Administration and Consultancy: we can design safety systems in line with the latest ILO and Ministry of Labour and Social Affairs requirements and guidelines. Training: we can give training to your staff in order to ensure that they adhere to the safety policy of your company. Industrial Consultancy: If you are undertaking a project of installation or erection of electro-mechanical systems (for example: factories, sewage systems, Refrigeration systems, AC systems, diesel power generation, clean water projects), we can be your inspectors and consultants defending your interests and ensuring a quality work is done as per the requirements of the contract. 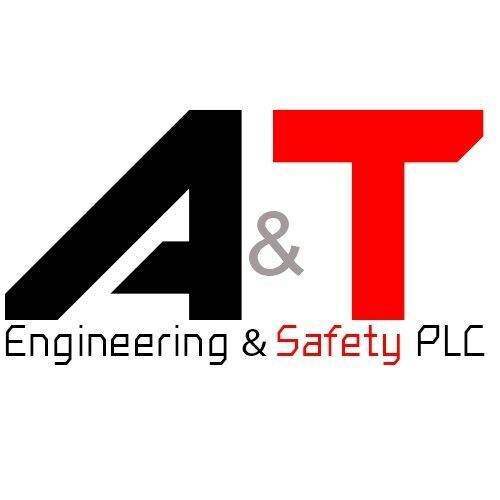 A & T was set up by 2 Mariner Engineers, one of them with vast maintenance, installation and management experience on diesel engines of up to 60,000KW, compressors, Boilers, Thermal Heaters, AC and Refrigeration, Trainings on Safety and Systems; the other with vast experience on business management and entrepreneurship. We have marine engineers, electromechanical engineers, mecahtronics engineers and software developers as staff and partners. Please contact us at our address and we can visit you and discuss your requirements.